now i cant find any dates!! well now that i have actually seen the trailer.. I still say it looks like shes wearing a lot of armor. the voice acting seems pretty nice. The more fanart I see on Tumblr, the more the look grows on me. I definitely think it could be armor. That would explain the lack of cleavage since realistically a cleavage divot in female armor would be dangerous for the wearer. Such a divot is pretty much asking for a shattered sternum. It's like the number one complaint about female fantasy armor. Shes wearing a full set of plate armor and you can hardly tell shes a woman. So that could be what they are going for. Any hoo.. does anyone know when this comes out? what day netflix is gonna release it? I wanna see what they have too offer before i make my call.. the animation LOOKS good.. But i need more information at this point. IF shera is supposed to be like 15.. or so.. i can live with the slimer figure..
She was like 21 in the original series tho.. i would like to see if they are going to make action figures of dolls of this. Monster Discussion / Re: Cleo-lyn MH/MOTU crossover doll. Fan vote: Repost to make it happen!! I WILL DIE.. and GO BROKE on them if they make a whole line of these..
but mattel does own the rights..
UGH i hope its real. oh link plz.. id like to see them. Occasionally for Halloween and Christmas i set up a scene with my MH. I believe i also did a couples theme one valentine's some years back. That's the extent of seasonal displays for me. I would LOVE to show pictures, but cant seem to figure out how? Have I not unlocked that ability? dont for get to take out spaces!! Monster Discussion / Re: Positivity for the reboot? Monster Discussion / Re: Garrett Sander no longer affiliated with Mattel? welp.. mattel owns the monster high name..
they could revamp( pun intended) Mystix or something similar.. or make something new. but no i dont rotate seasonally.. but i do tend to rotate every month or so..
i will trade those out about once a month. My dolls are something that has always made me happy and brought me pleasure.. The hard part is finding places to keep the ones still in boxes.. the ones out of them are easy.. i have TONS of shelf space. But no.. they were and still are always kind of a retreat from reality for me, just for a while. We cant be princess' or were wolves or mermaids or fairy queens. to help cope.. just a moment of stillness.. helps. I probably have to many.. I dont think ive ever forgotten one. just do nothing for me. new stuff just doesnt grab me. still ya never know and i dont think i will ever quit..
specially if i find good prices. Our local wally worlds have pretty much slashed the WHOLE doll section to nearly nothingness here in Lex KY. There are almost NO dolls at all save for a few barbies and descendants. Target is better they have most of the current barbie and monster high stuff .. as well as some of the other popular lines. Mejiers has kept a good selection of barbie stuff but everything else has also been cut back. I feel like a kid in the 80's again when for some unholy reason dolls fell outta favor. Monster Discussion / Re: New MH Books! New look for Frankie and a new special? 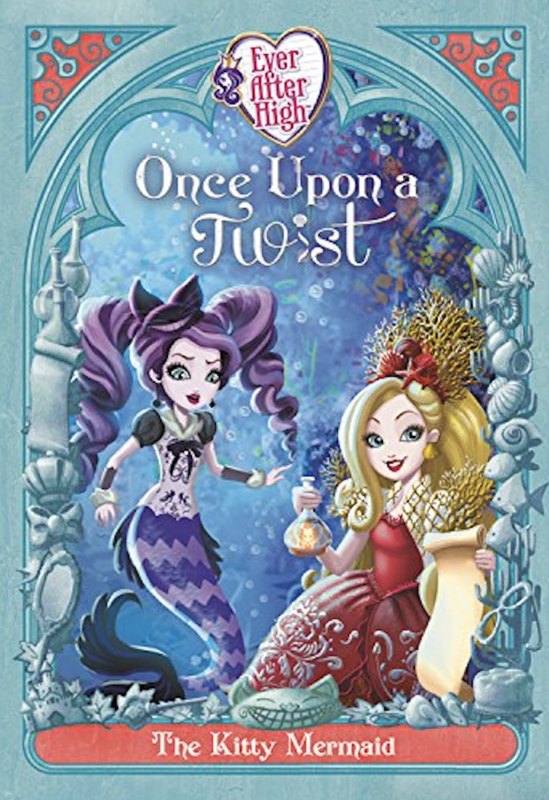 Ever After High Discussion / Re: New Books Revealed! OMG.. apple as the sea witch!! SNRRRRRRRRRRRRRRRRRRRRRRRRRRT! I NEED To read that. Id LOVE to see her reaction to THAT!